In Japan, there is a large fault system named “Japan Median Tectonic Line (JMTL)”. A lot of rises in there, also many small islands in there. 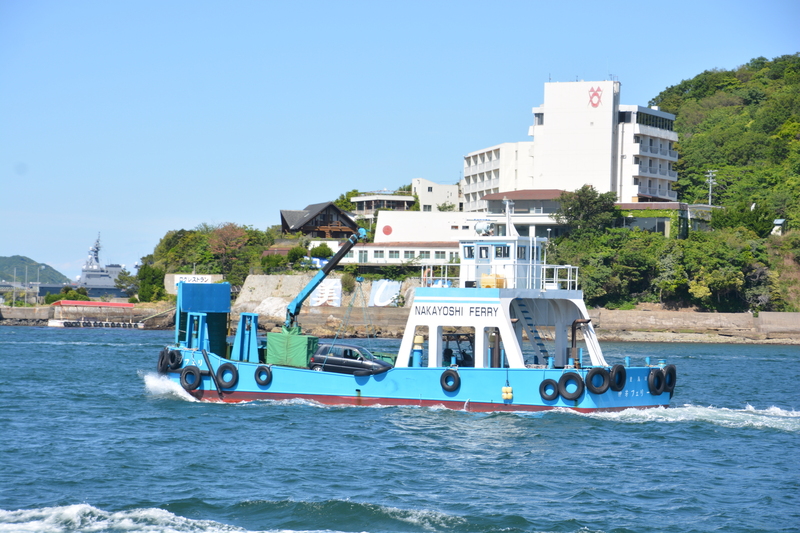 So I traveled island around JMTL in Kii Peninsula. I traveled with my motorcycle. 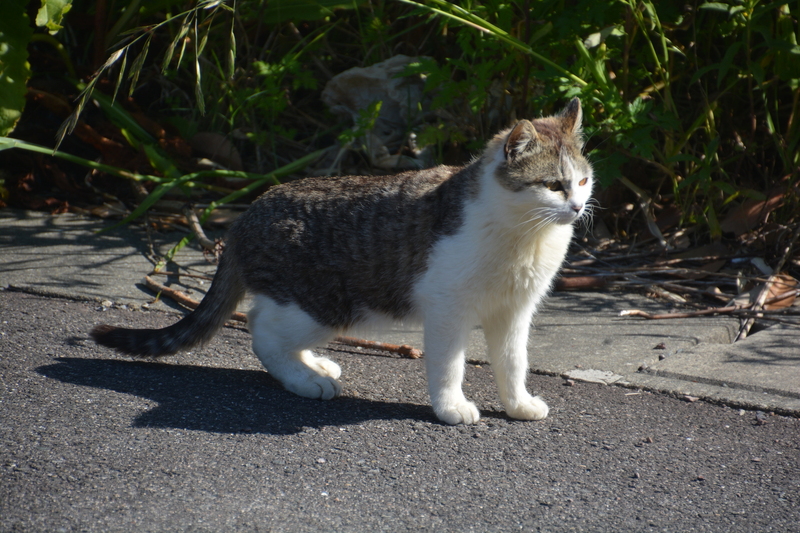 I went to Irago-misaki, and go around Kii Peninsula. The route is (Tokyo) – (Irago-misaki) – Kamishima – (Toba) – Tojishima – Sakatejima – Kashikojima – Masakijima – (Shiono-misaki) – Tomogashima – (Nagoya) – (Tokyo). 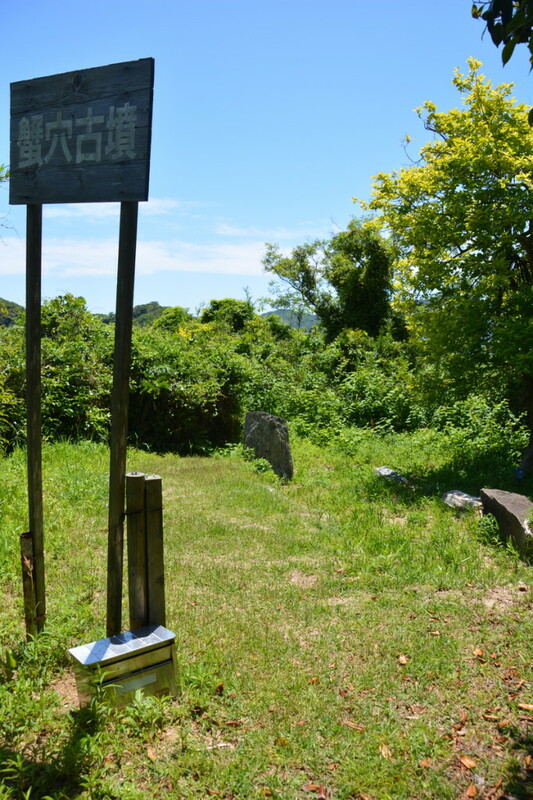 As an aside, I ran Meihan-Kokudo on way back (famous road as frequent car accidents). It was scared a little. 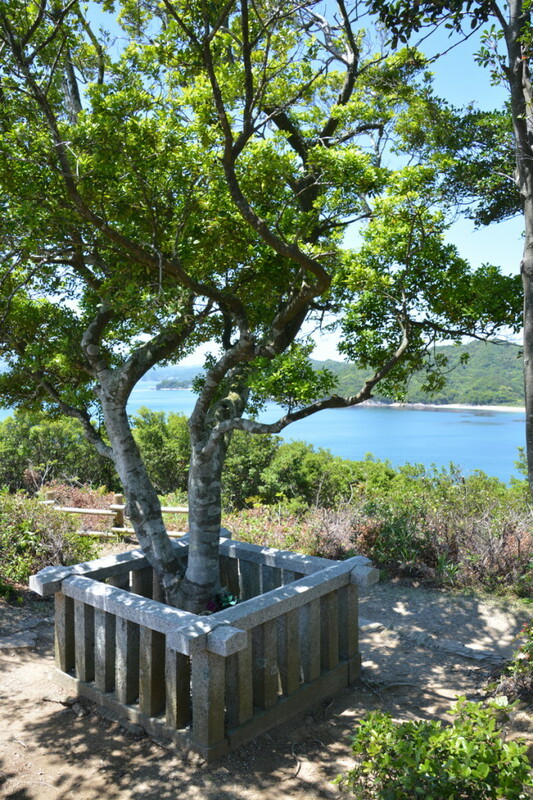 An island in ahead of Irago-cape. 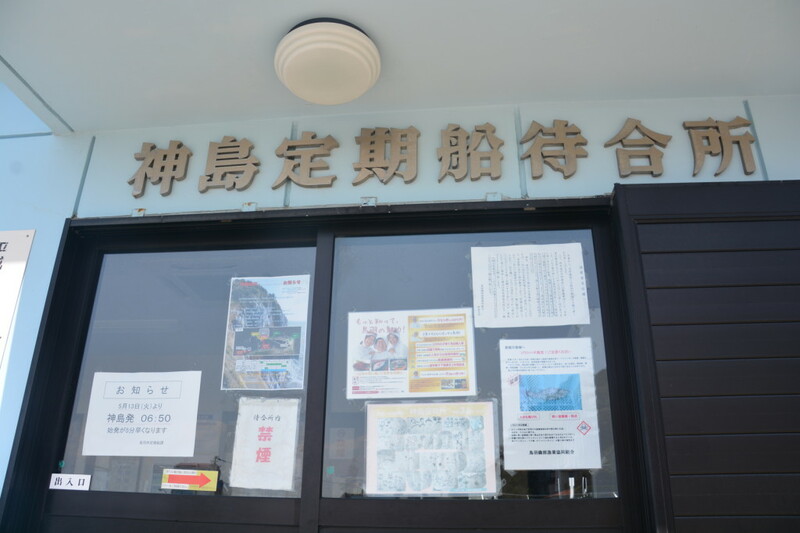 It’s the gateway of Ise-wan. 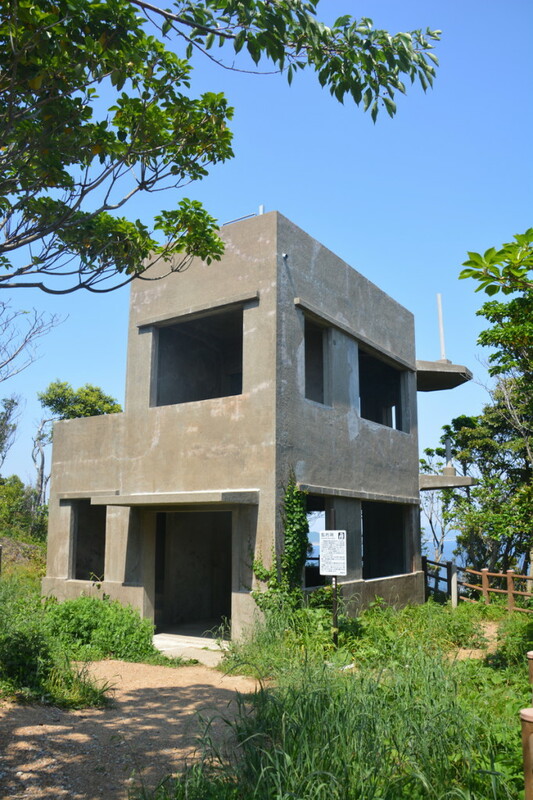 This island is the setting of a novel “Shiosai” written by MISHIMA Yukio. I don’t know detail about him. 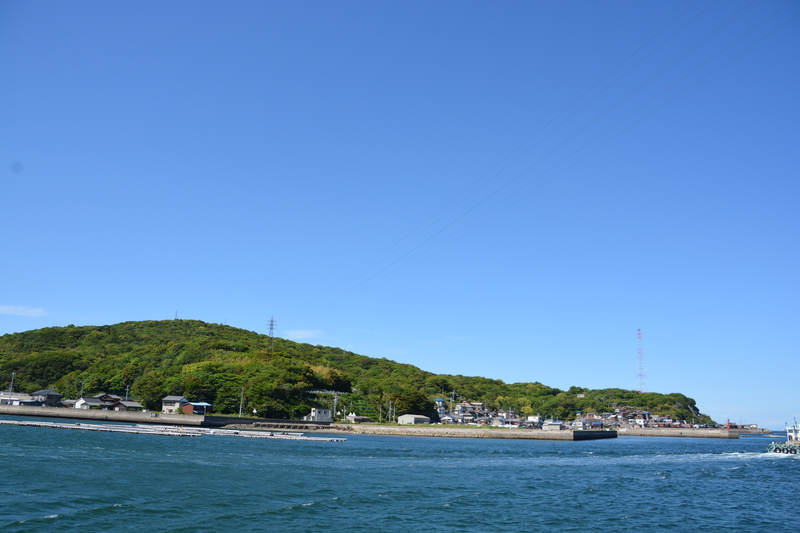 Overview of Kami-shima from an ferry between Irago and Toba. 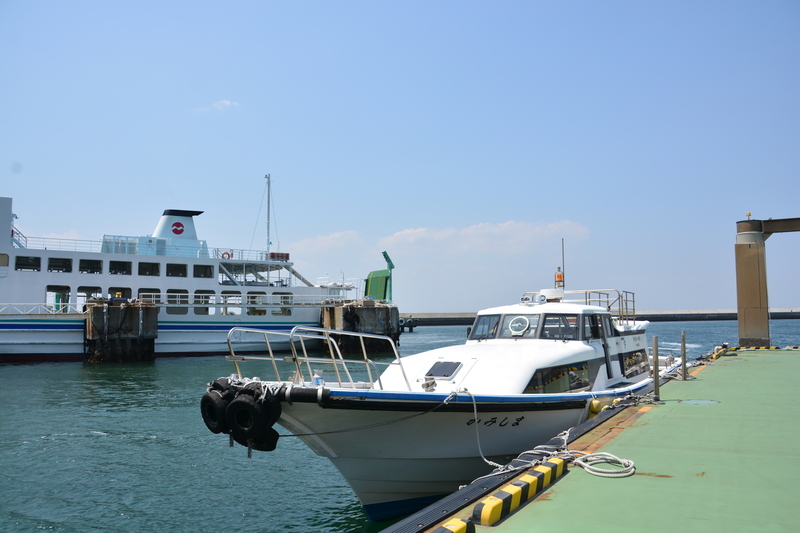 A ship to go to Kami-shima. 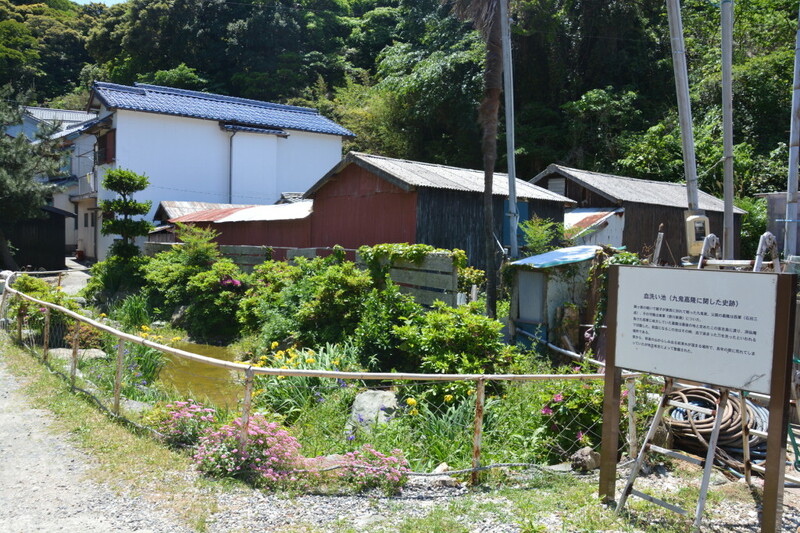 “Sentaku-ba (Washing place)” in the village. 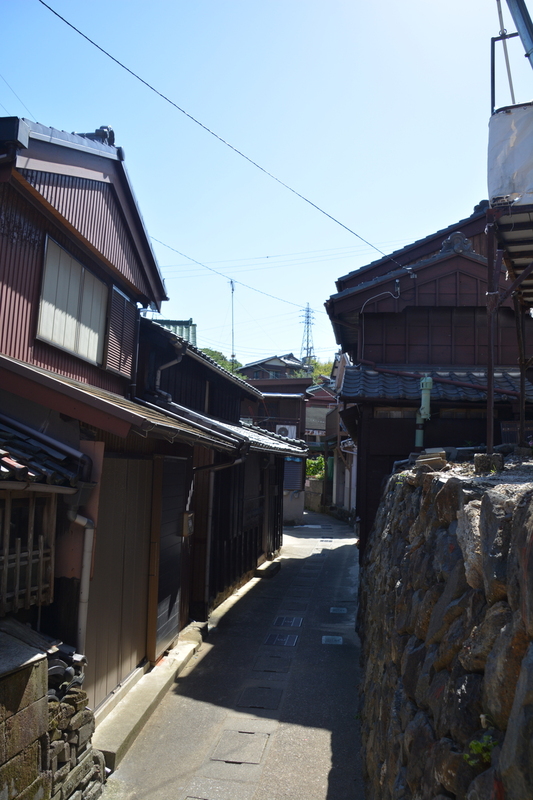 There is many houses in this small area. So it’s very narrow. 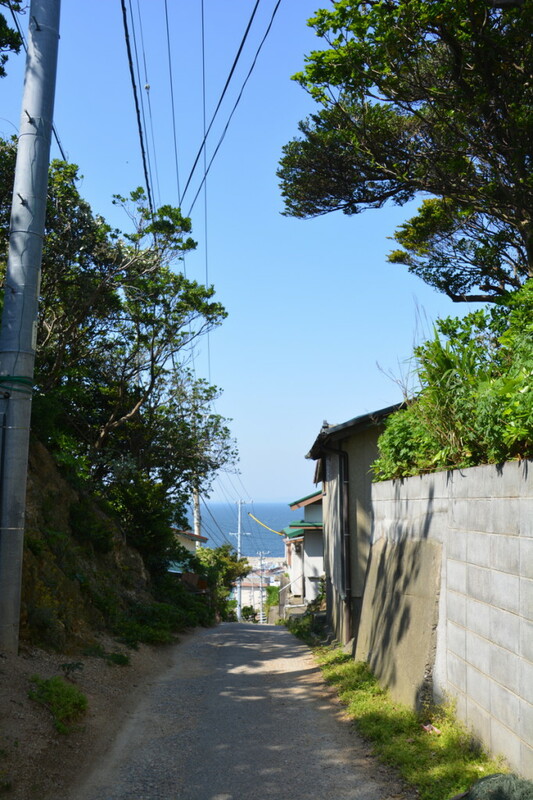 An stairway in this picture is way to lighthouse. 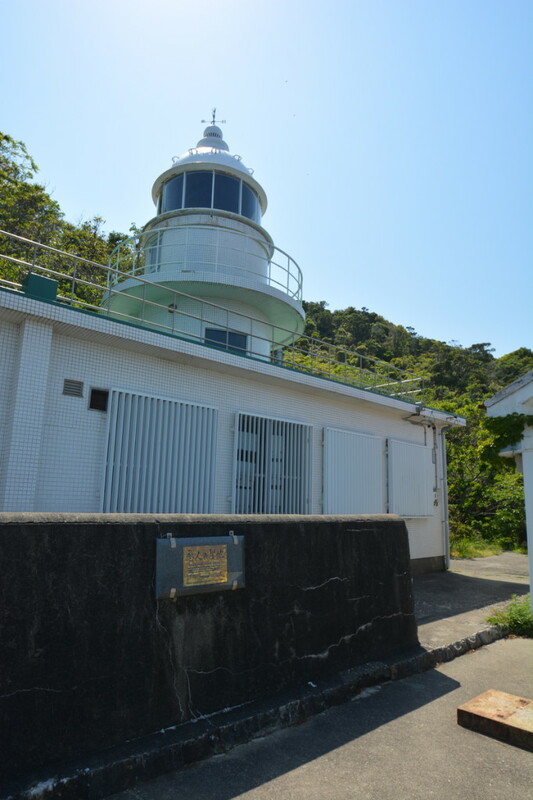 Kami-shima lighthouse. The gold plate says “Holy place for lovers”. 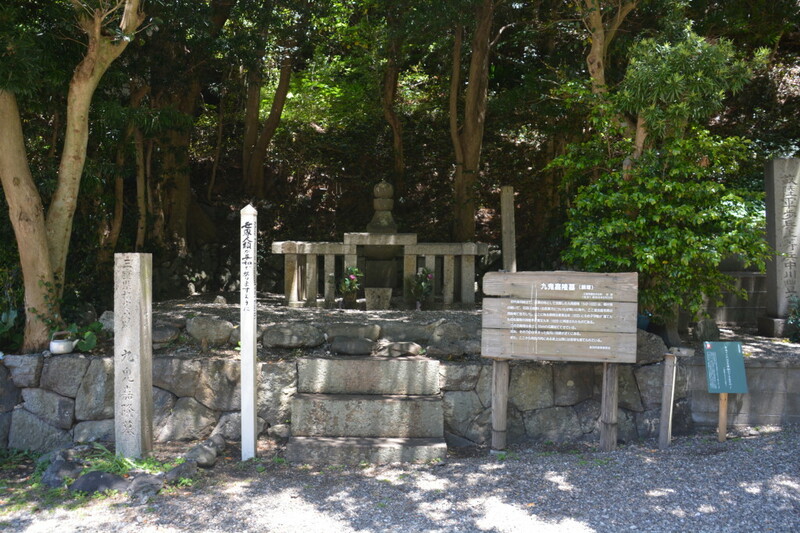 Kami-shima Kanteki-Sho Ruins (神島監的哨). These had been buildings for observing test firing from Irago. They had watched points of impact from here. A building looks like monster or something. Probably no person living in this. The island near from Toba which is famous tourist resort. 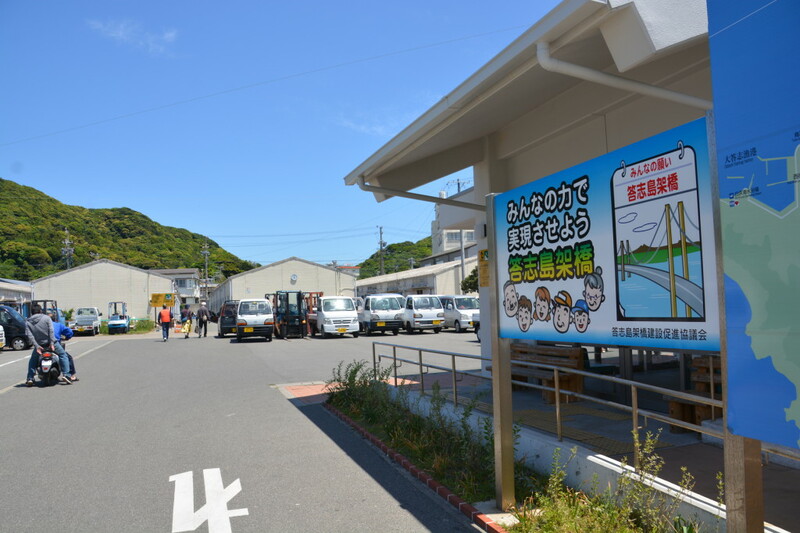 Apparently they have doing movement for making bridge from toba (This signboard says “The hope of all of us, Building bridge of Toji-shima”). Surely this is not unrealistic because this island is so close from Toba. 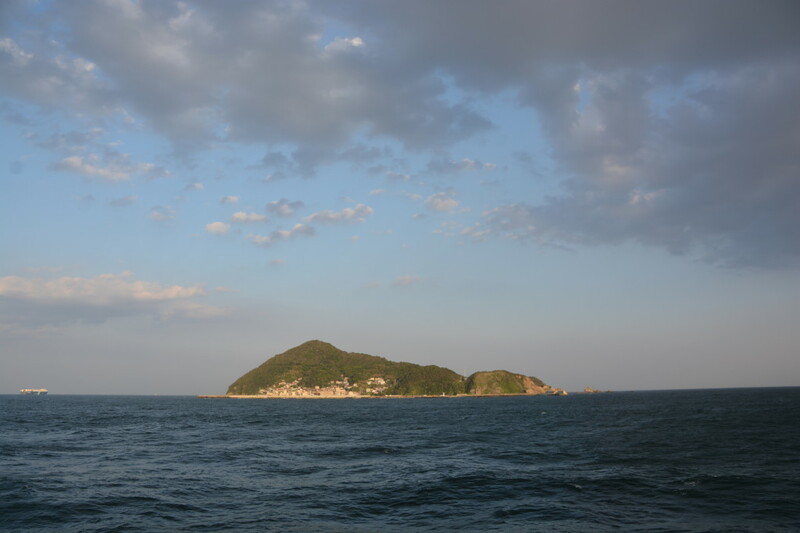 “Kubi-zuka” (means mound of a head) in small mountain near from the port. 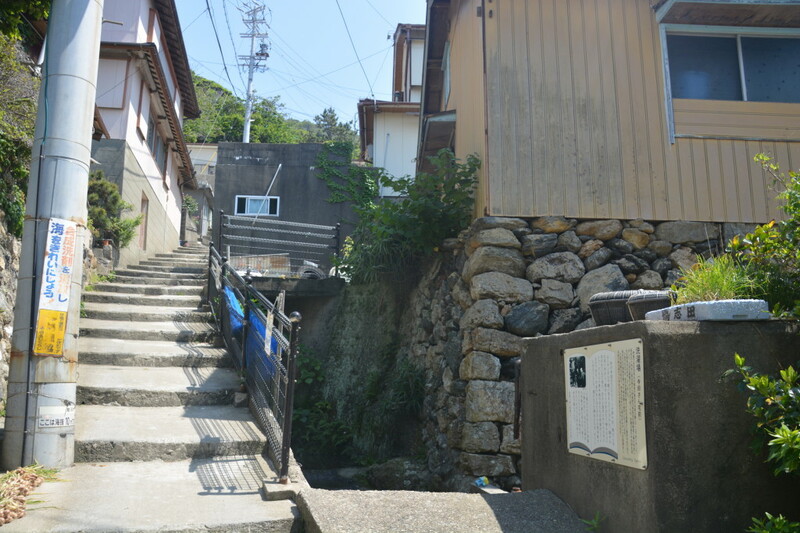 It is said that there is KUKI Yoshitaka’s head in here, who committed suicide in here. 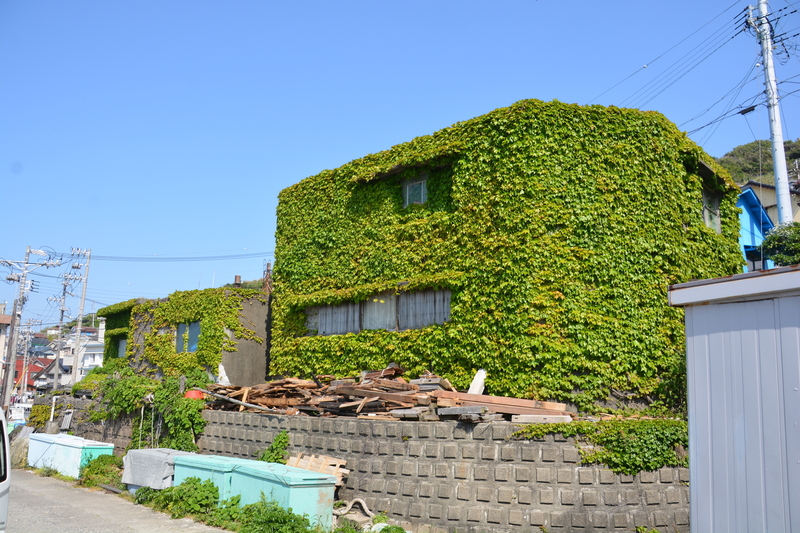 This is “Dou-zuka” (means mound of a trunk). There is also KUKI Yoshitaka’s trunk in here. Sadly his head and trunk are splitted different mounds. Maybe some reasons there. 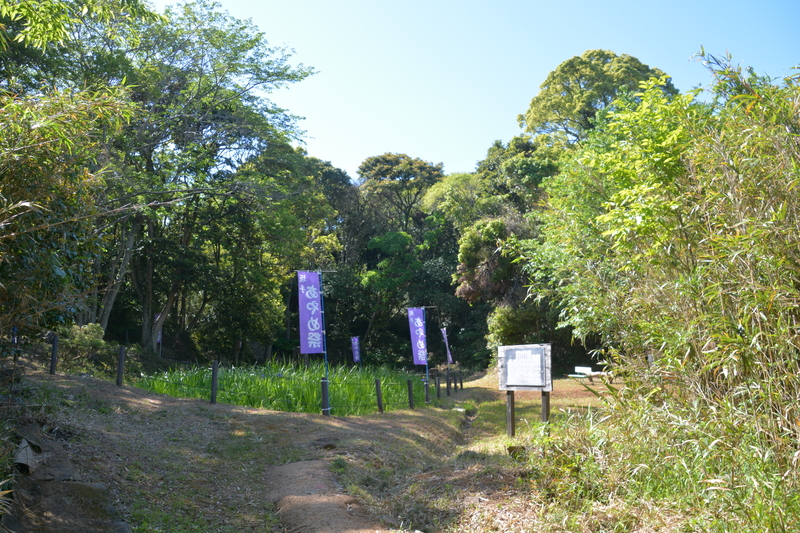 “Chiarai-ike” (means pond for washing blood). 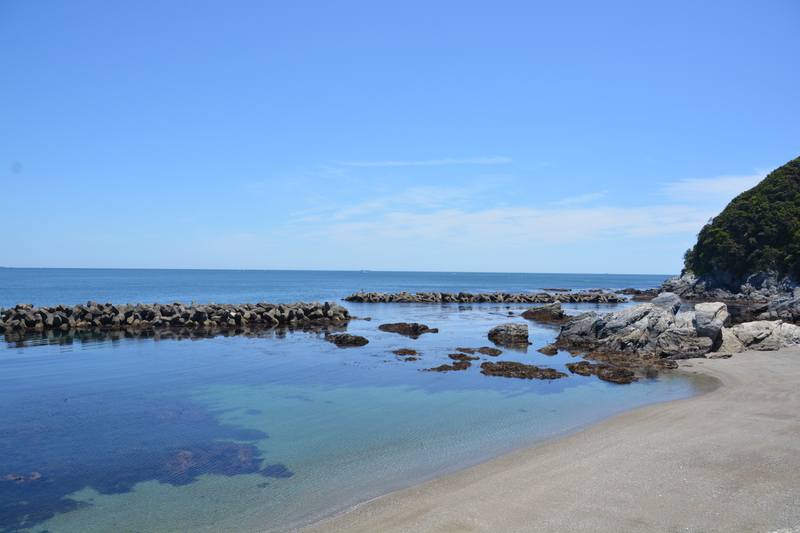 Pure water and clean beach. 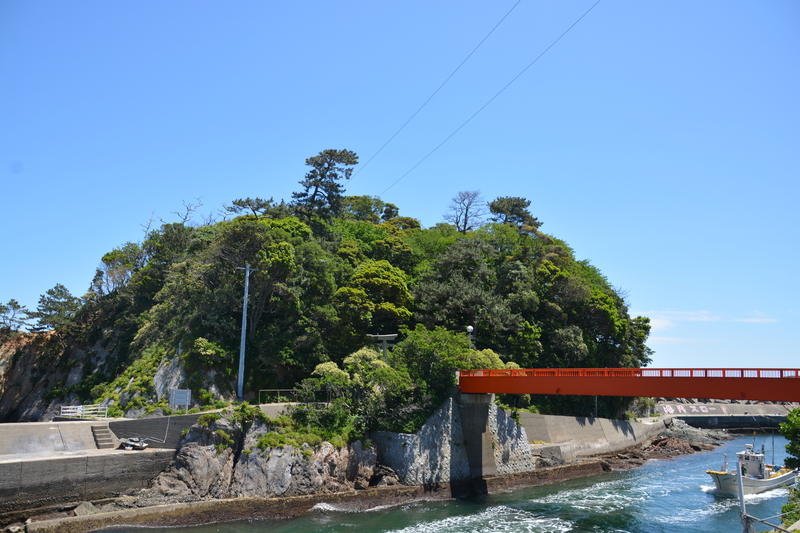 An island of Yahata shrine. It is connected by footbridge. 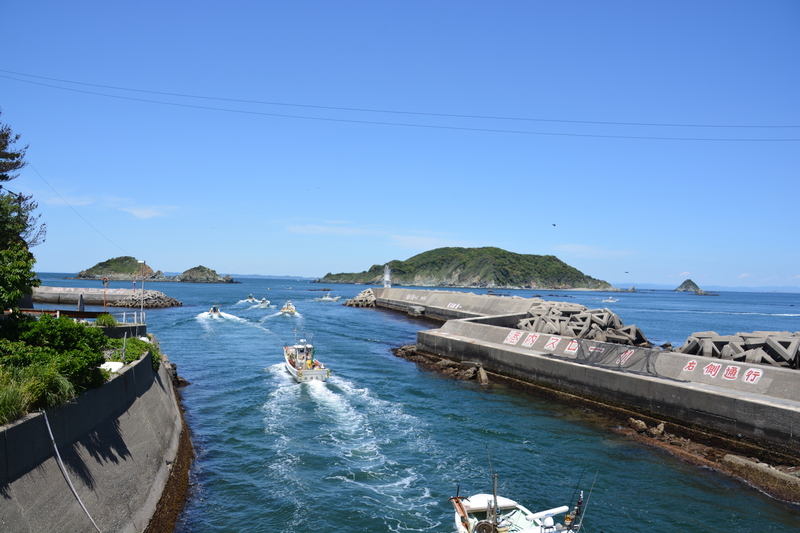 The time of departure of group of fishing boats. 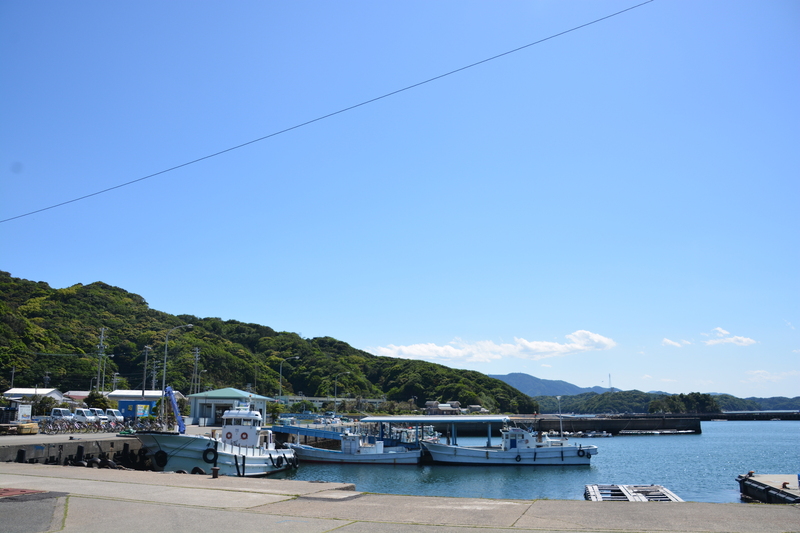 Around Wagu fishing port (in Northern part of the island). Kubi-zuka and Dou-zuka are in small mountains in center part of this picture. 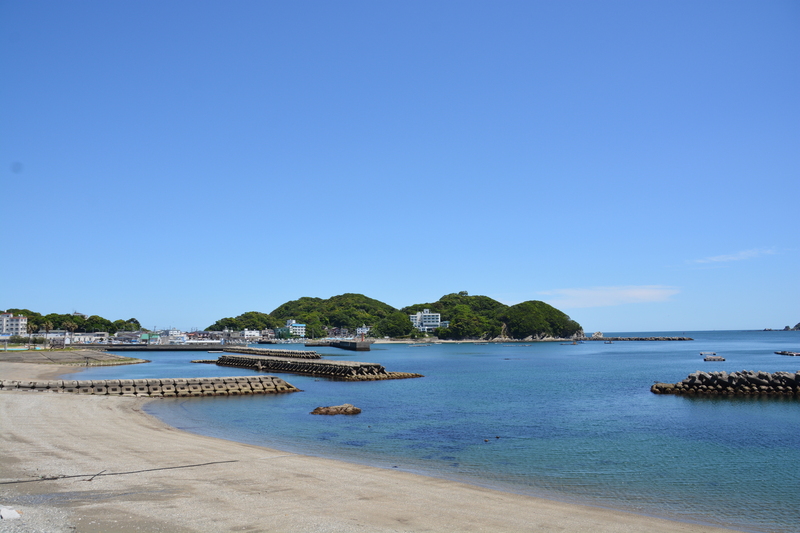 This is around Momotori fishing port (Southern part of the island). 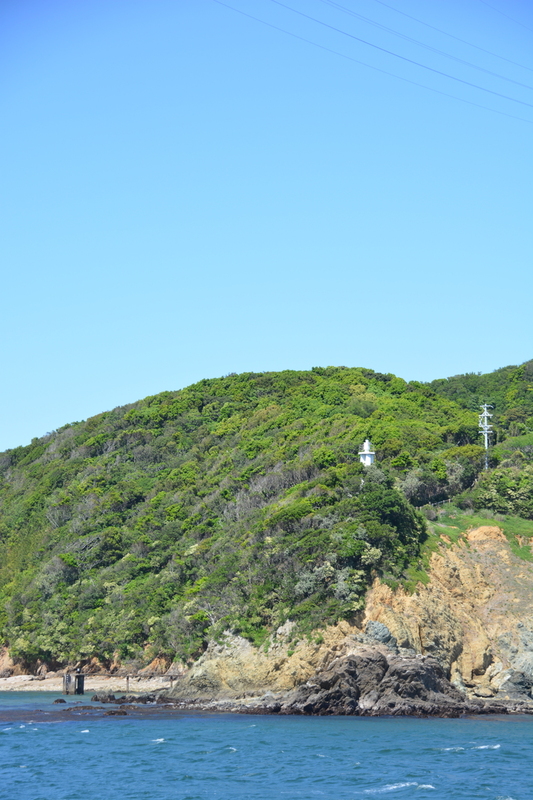 A distant view of Shimagasaki lighthouse. I couldn’t go near because no time to go. 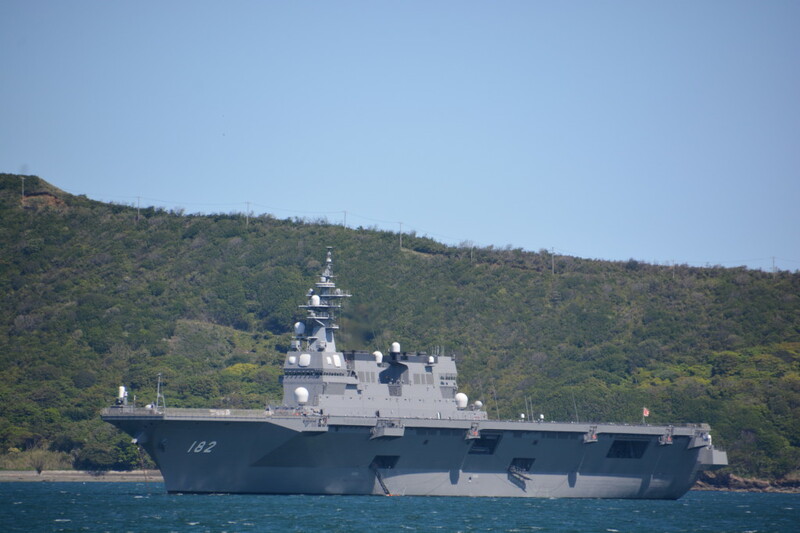 JMSDF’s vessel anchored. There is many kinds of ships in Irago-suido (Sea area aroung Irago-misaki). A ferry with a clane. Looks like useful. This is an island near toba too. Small island. 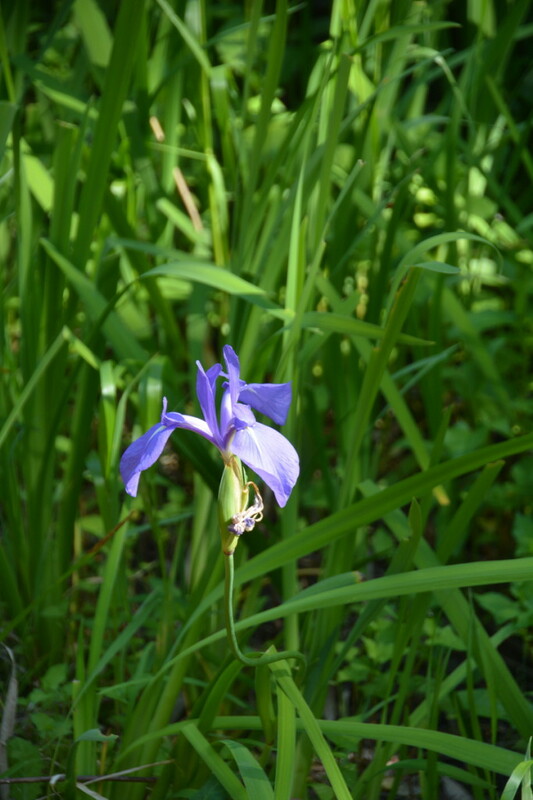 Ayame-ike (irises pond). There was so many flags written “Ayame festival”. They say May is the iris season. 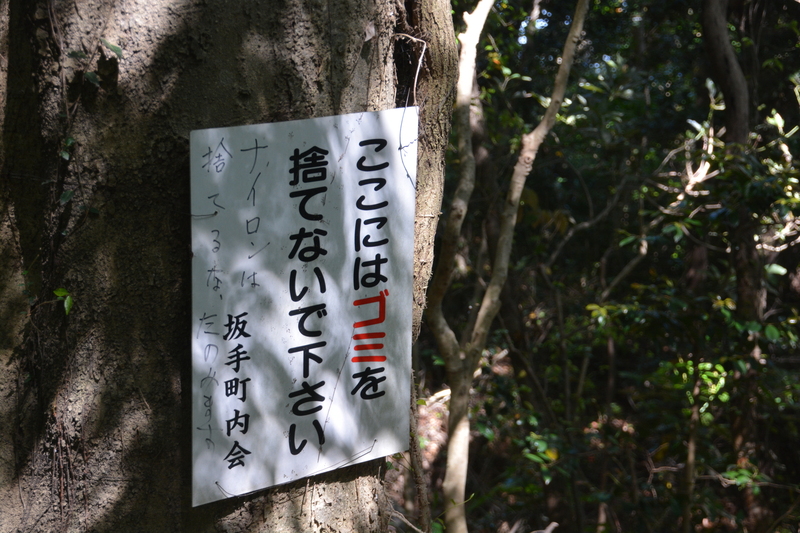 This signboard says “(Do not trash here.) DO NOT TRASH NYLON. I BEG YOU PLEASE.”. There is many signboards like it in this island. Maybo so many nylons have dumped. Is it used in fishing or something? 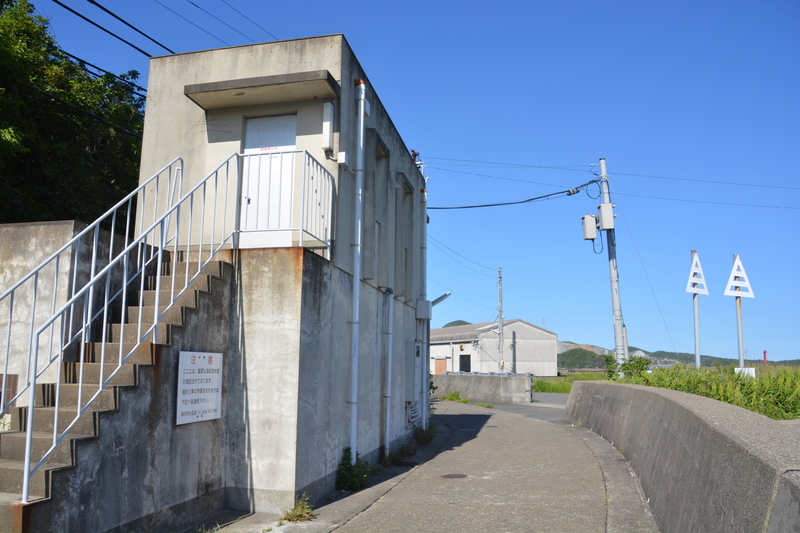 A building for a water service. Undersea pipe for sending drinking water from Toba have connected here. 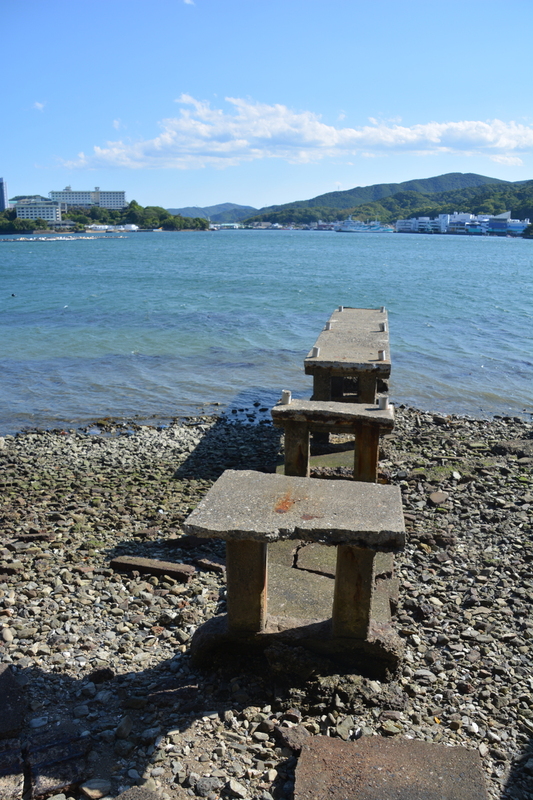 Isolated islands, particularly small islands often faces difficulties of securing drinking water. Many of them have depended on sending pipes like this. 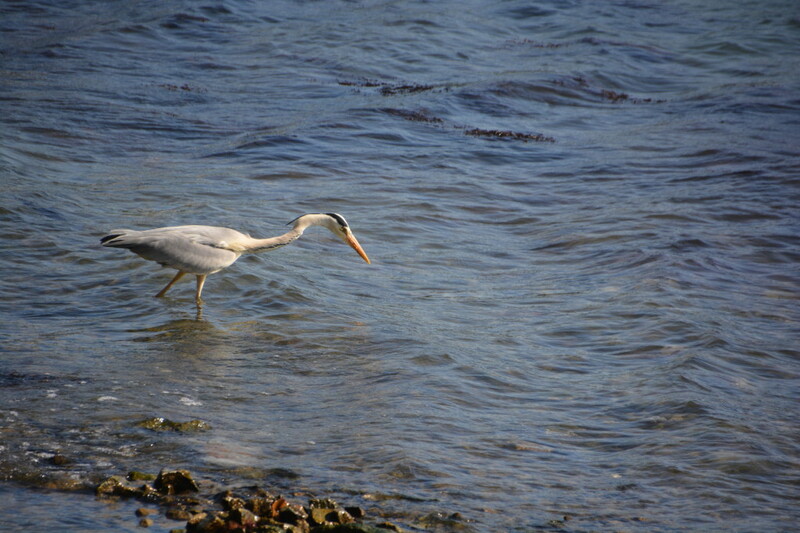 A gray heron aiming something. 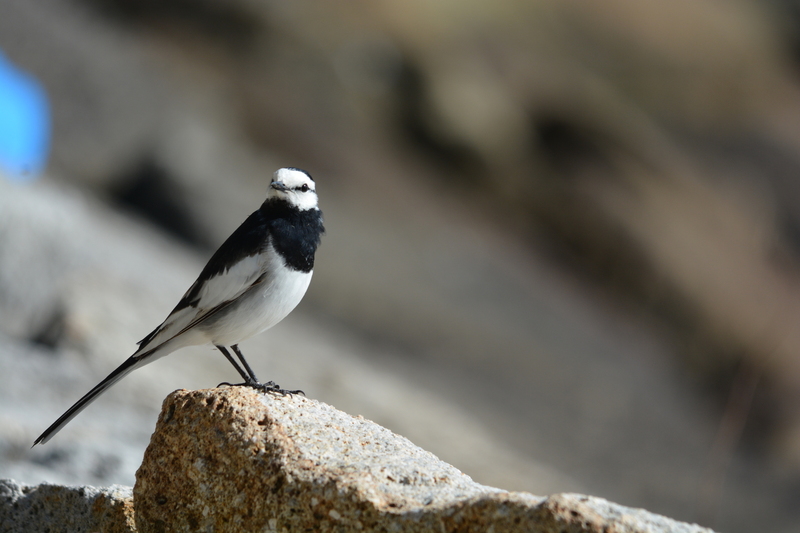 Later, it flyied away without capturing anything.